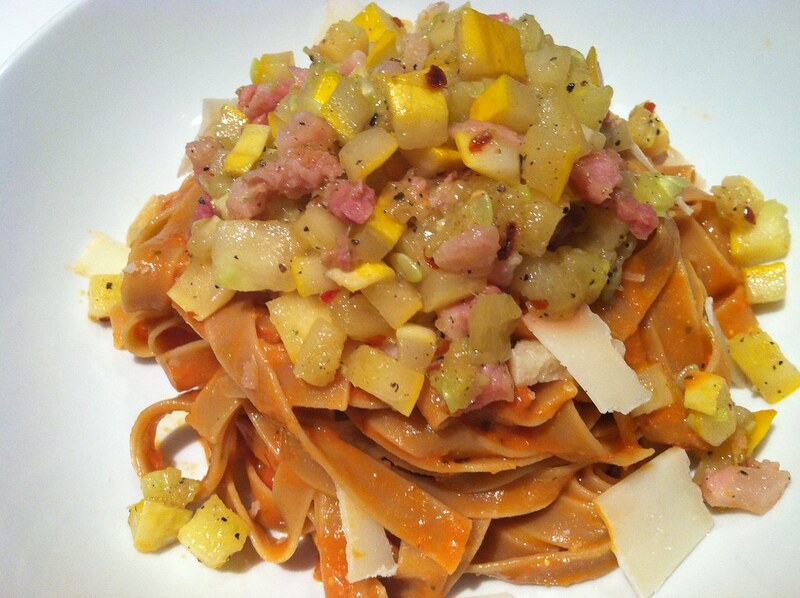 CSA Pickup #6 and squash pasta – ugly food tastes better. We also bolstered our fruit share with some delicious looking sugar plums and red plums from Red Jacket Farms, which is my favorite. 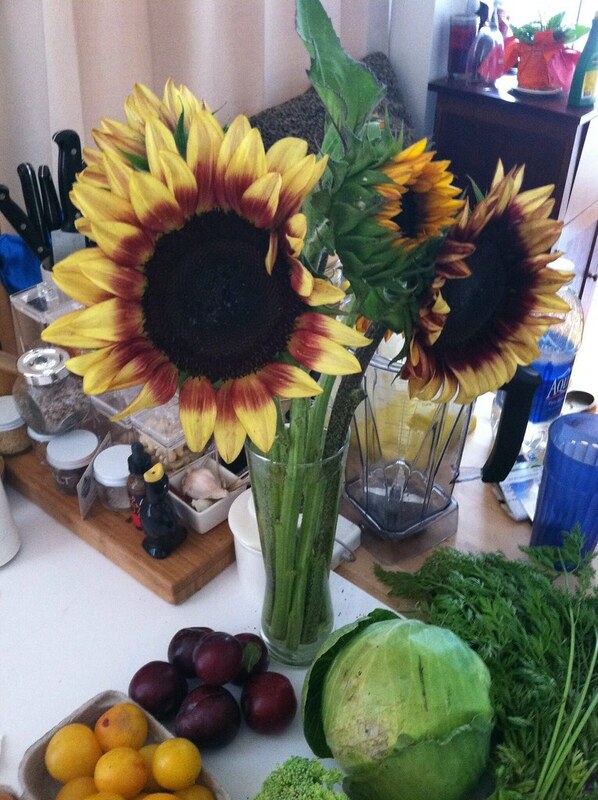 and a bunch of pretty sunflowers! I also wanted to share a nice yummy pile with you made With last week’s squash. I diced it and cooked it in red pepper flakes, garlic, a dash of nutmeg and some pancetta and piled it on top of some Porcini pasta I got in Italy with some vodka sauce and fresh grated parmesan. YUMMY!!! I’ve got a squash pasta post in the making. Yours looks better with yellow squash. 3 pints of blueberries sounds amazing! 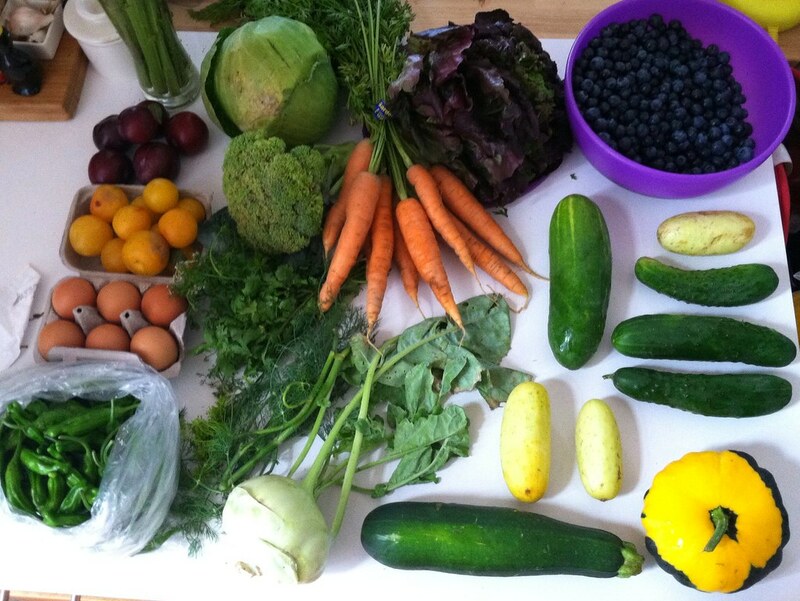 Thanks for linking up and sharing your CSA goodness with the rest of us!